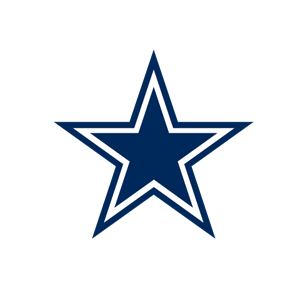 The Dallas Cowboys promote responsible drinking and positive fan behavior at AT&T Stadium. The Cowboys alcohol management plan ensures that fans have a safe and fun experience. Tailgating spaces are for vehicles and trailers only. Parking spaces may not be used for tents, grills, chairs or other items. Each vehicle or trailer must have a valid parking permit. The Guest Text Messaging Service is available to all guests at AT&T Stadium. Guests may call for assistance during an event by sending a text message to 69050 from their cell phone. Open a blank text message and address the message to 69050. Type the word STAR followed by a space and the issues (question, comment, concern, etc.) and location. The word STAR is not case sensitive, but the body of the text message must start with this keyword and there must be a blank space after the keyword. Text messages can be up to 160 characters in length. The text message is received by a stadium representative and the appropriate assistance is dispatched. If necessary, the stadium representative may have a dialogue with the guest through the exchange of text messages. By using the text messaging service, guests are able to report issues and concerns, ask for information and call for assistance in a fast, easy and convenient way. For any further questions regarding the Guest Text Messaging Service, please contact the Guest Services Hotline at (817) 892-4161. Standard texting rates apply. TEAM Training is conducted at AT&T Stadium by the Dallas Cowboys and Stadium People. The Dallas Cowboys at AT&T Stadium have consistently won training awards from TEAM Coalition since 2011. There are 8 locations of the Miller Lite designated driver program at AT&T Stadium. Fans who pledge to be designated drivers receive a complimentary water and a chance to be selected as the Designated Driver for the Game. Designated Drivers for the Game are recognized on the stadium video board and receive a prize.